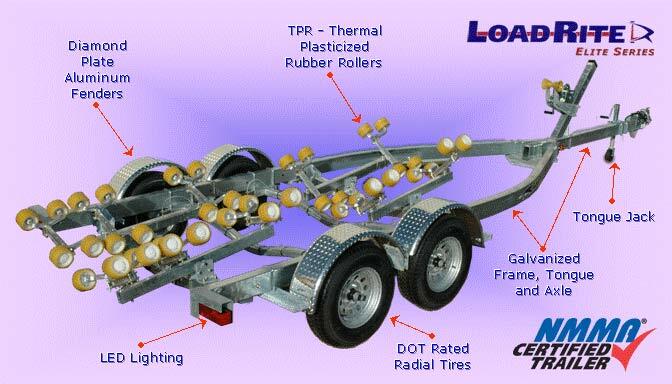 Model shown with optional aluminum wheels, Vortex hubs, spare tire and carrier, and plastic bunk covers. 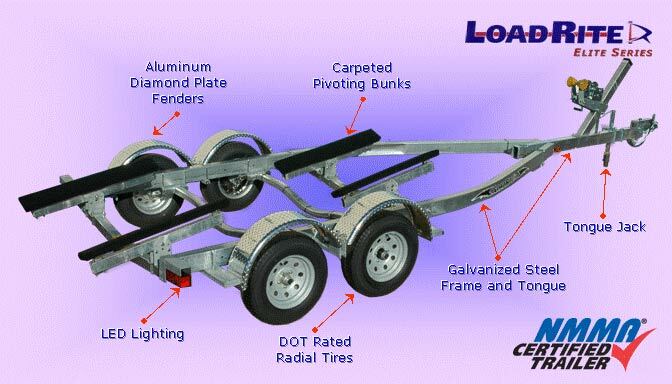 Load Rite’s AB models are the finest, heavy-duty aluminum framed bunk trailers available. The proprietary I-beam design safely protects wiring and brake lines along the length of the frame, and incorporate fastener channels for axle and fender mounting that minimize unsightly u-bolts straddling the frame. 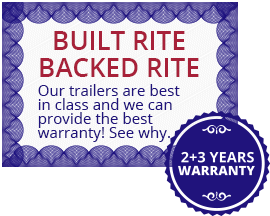 Load Rite’s bunk system provides the most adjustability and the best support of any bunk design on the market today, thoughtfully designed with space between the front and rear bunks to accommodate sling loading. Adjustable vertically and horizontally, the bunks provide dramatically improved support compared to the traditional solid wood bunks. Add aluminum wheels and you’ve just specified the closest thing to a custom trailer available, and all priced to fit every boater’s budget. Consult with your dealer to determine which options will best suit your intended use. Sleek patented aluminum I-beam frame design with a simple to setup bunk system. 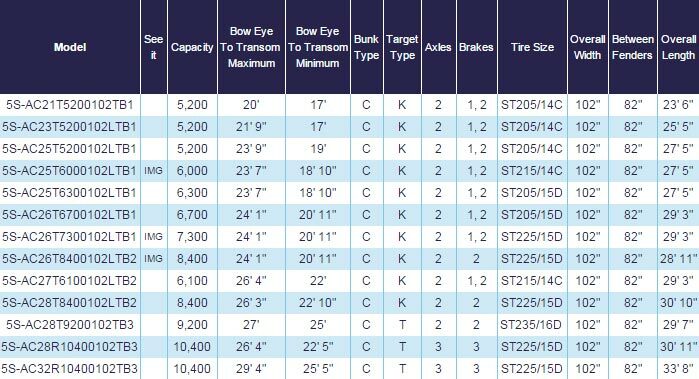 Torsion axles and disc brakes are standard on all models. Lots of great options to add, yet still stay within your budget. 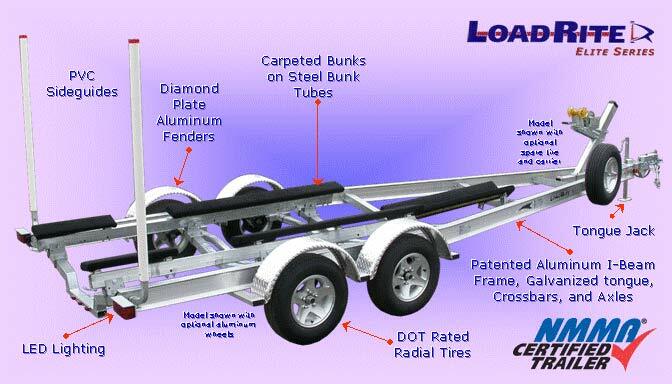 Load Rite’s SA® Bunk models offer a hybrid technology combining the articulation of a roller model with the hull contact area of a bunk, resulting in greater hull surface contact. 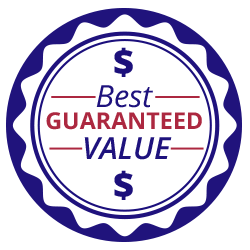 The sturdy galvanized frame will offer years of service. Easy to load and launch, SA® Bunk models are a great alternative to both roller and traditional bunk models. Simple to use and set up, easy to load and launch. Carpeted wood bunks atop a long lasting galvanized frame components and galvanized torsion axles with greasable hubs. Lots of great options to add, yet still stay within your budget. TAB-Bunk models combine our galvanized steel bunk tube system from our aluminum models with a heavy duty galvanized steel frame. The result is simply the heaviest duty bunk trailer available. The bunk system provides the most adjustability and the best support of any bunk design of its size on the market today. Thoughtfully designed with space between the front and rear bunks to accommodate sling loading. 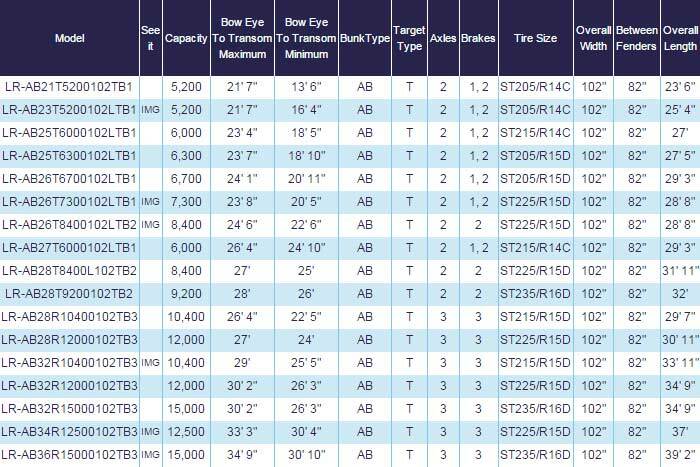 Adjustable vertically and horizontally, the bunks also pivot to conform to hull deadrise. Add aluminum wheels and you’ve just specified a model that can handle the largest of trailerable boats. 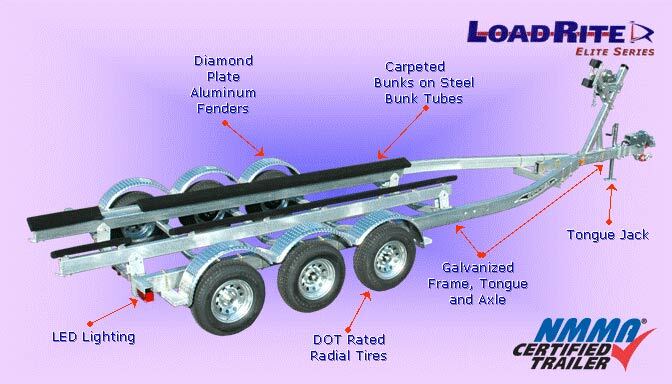 Load Rite’s AR roller models are the finest, heavy-duty aluminum framed bunk trailers available. The proprietary I-beam design safely protects wiring and brake lines along the length of the frame, and incorporate fastener channels for axle and fender mounting that minimize unsightly u-bolts straddling the frame. 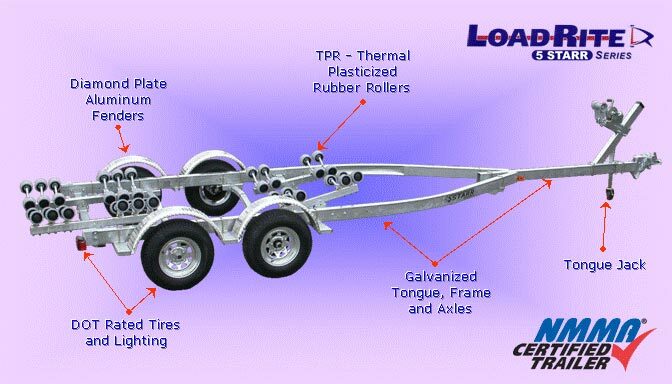 Load Rite’s patented TPR roller system offers the most articulation in the industry, allowing more roller to hull contact than the competition. The TPR roller surface will not mar hulls. And the patented roller bushing assures a smooth load and launch every time. Sleek patented aluminum I-beam frame design. 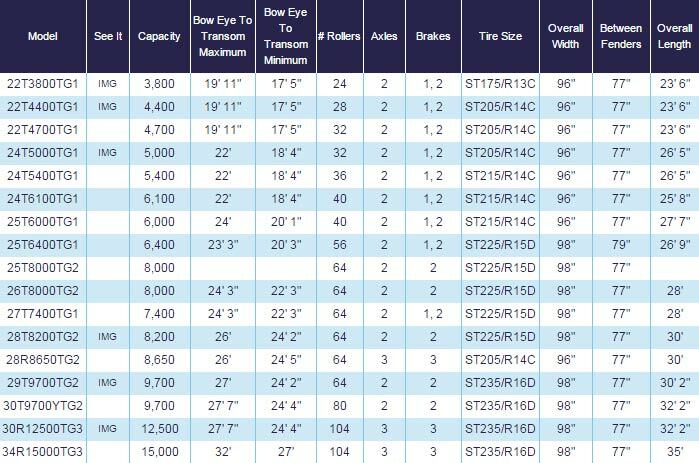 Torsion axles and disc brakes are standard on all models. Featuring TPR (thermal plasticized rubber) rollers, smooth and non-marking. Lots of great add-on options, yet still stay within your budget. 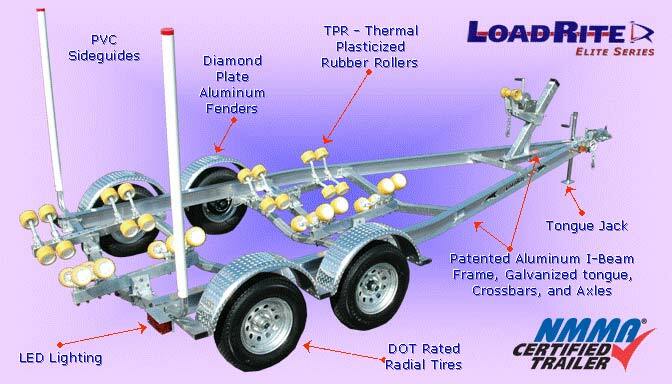 Load Rite’s roller models are the easiest trailers to load and launch. Ideal for poor ramp and tidal conditions. A roller model will load and have you high and dry in conditions where a bunk model will leave you waiting for conditions to change. 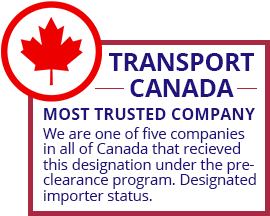 Galvanized steel frames, galvanized torsion axles and disc brakes are standard. Featuring TPR (thermal plasticized rubber) rollers, smooth and non-marking. 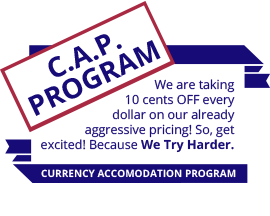 Lots of great options to add, yet still stay within your budget. Designed for inboard boats to accommodate and protect screw and rudders. The proprietary I-beam design safely protects wiring and brake lines along the length of the frame, and incorporate fastener channels for axle and fender mounting that minimize unsightly u-bolts straddling the frame.